Okay this character was the result of a conversation my good friend had with his daughter… she told me “I’ll let you draw that!” I took it to be a challenge… so I did. Dad: Josie, if chickens had heads that looked like a worm’s head would you still eat it? Josie: No way! But I can think of something even worse? 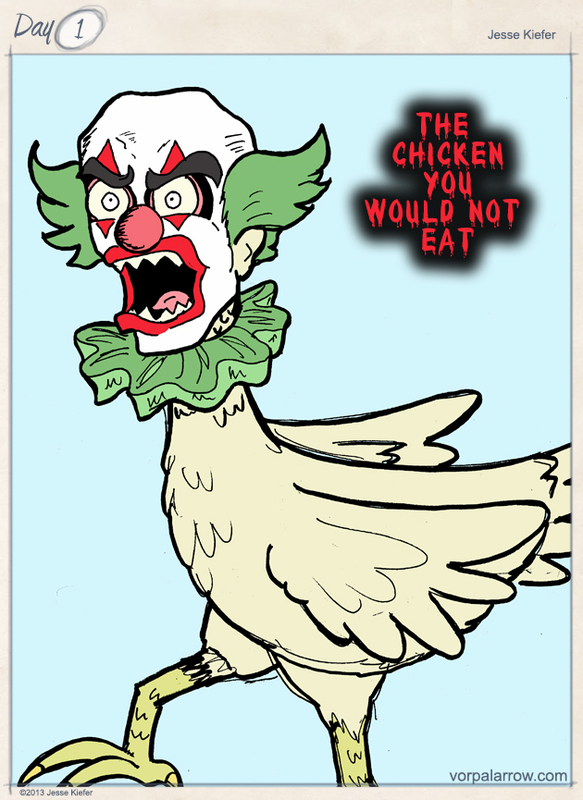 Josie: What if chickens that had heads that were screaming, bloodthirsty clown heads? Would you still eat them dad? Dad: Nope, I’d be too busy peeing my pants and I’m guessing petting zoos wouldn’t be very popular. It probably tastes like cotton candy and little children’s tears. Terrifying.